What is Bitcoin Cloud Mining and is it a Good Investment? Bitcoin mining refers to the use of your computing power to process transactions on the bitcoin blockchain for which you get returns (in the form of new bitcoins). Bitcoin Cloud Mining refers to the process of ‘mining’ bitcoins with the use of a remote datacentre that has a processing power that is shared. With cloud mining, you don’t need to manage mining hardware. The miner might get lower returns as cloud mining is a service, hence there is a cost involved. Cloud mining enables to people earn bitcoins without the hassle of having to buy and maintain mining hardware. Genesis Mining is currently the largest provider of bitcoin mining. It is the safest way to purchase hashpower as it doesn’t require any software and hardware set up. No excess heat to endure. No problems of ventilation when handling hot equipment. There will be no cases of suppliers failing to deliver on time. One of Genesis Mining’s most popular cloud mining contracts is the unlimited bitcoin mining contract, which will run indefinitely as long as the price of bitcoin does not drop to a level where the costs of mining exceed the revenues it generates. If that occurs, machines are shut down and the mining contract ends. Hence, cloud mining is only profitable as long as the price of bitcoin maintains an upwards (or at least sideways) trend. Unfortunately, it is important to note that mining scams are on the rise like the possible $500,000 bitcoin cloud mining Ponzi scheme that was uncovered. Potential buyers of cloud mining services need to be extremely careful before purchasing any bitcoin mining contracts as companies posing as bitcoin cloud mining providers are one of the most common scams in the bitcoin economy. Hence, when choosing a bitcoin cloud mining operator, you need to be very careful and always consult community forums, such as bitcointalk.org, to receive information about the cloud mining company you plan to use. One of my favourite bitcoin publications, BTCManager, has an excellent bitcoin cloud mining comparison site that can help choose a bitcoin cloud mining service, should you decide to purchase cloud mining contracts. IS BITCOIN CLOUD MINING A GOOD INVESTMENT? Well, the answer is yes and no. Since the mining difficulty of bitcoin has increased substantially in the last few years, mining at home using bitcoin mining hardware has become unprofitable for individuals as they can not compete with large international mining operations that own warehouses full of bitcoin mining machines. In terms of bitcoin cloud mining, since the price of bitcoin has continuously increased in recent years, cloud mining contracts have been profitable investments and will stay profitable as long as bitcoin continues to gain in value. Having said that, historical data shows that investors who simply bought and held bitcoin made higher returns than those who invested in bitcoin cloud mining contracts. Hence, it is up to you to decide whether you prefer to invest a larger amount once to then receive smaller daily or weekly bitcoin payouts “indefinitely” or do you prefer to buy and hold bitcoin and benefit purely from the capital gains of the digital currency? 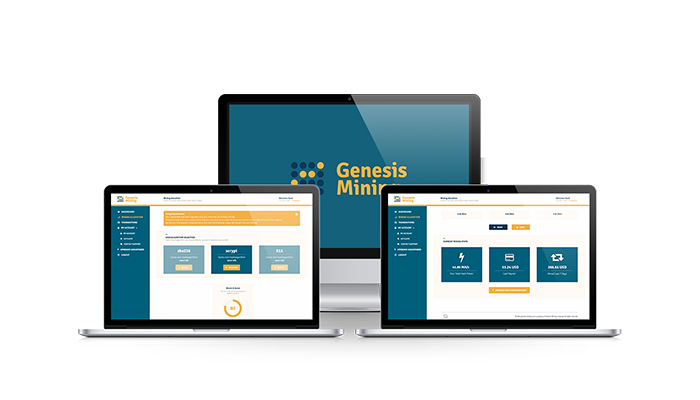 There is an excellent article on how long it will take you to generate a return on investment using the most prominent cloud mining provider Genesis Mining by 99Bitcoin’s Ofir Beigel on Finance Magnates. If you are considering investing in a cloud mining contract, you should read this post first. Personally, I cloud mine bitcoin using Genesis Mining for idealistic reasons. I purchased their cheapest lifetime bitcoin mining contract (for $30) as I want to play my small part in ensuring that the bitcoin network continues to operate effectively. To get a return on investment it will take me well over a year, provided the price of bitcoin stays stable. Having said that, I am not too fussed about $30 should I not break even on this “investment” anytime soon. While you may like the idea of receiving regular passive income payments in bitcoin (I know I do! ), you will most likely generate a much better return on investment by investing bitcoin peer-to-peer loans or simply buying and holding various promising cryptocurrencies (such as Dash, ether or everyone’s favorite bitcoin) as long-term investments.